See more objects with the tag ceramics, playful, figural, bird. See more objects with the color darkslategrey darkolivegreen dimgrey grey darkgrey or see all the colors for this object. This is a Vessel. 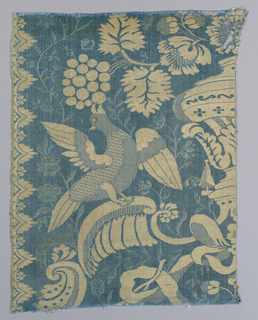 It is dated 1300–1400 and we acquired it in 1962. Its medium is molded and burnished earthenware. It is a part of the Product Design and Decorative Arts department. The Chimú civilization was a pre-Columbian culture which flourished in the northern coast of Peru from about 1400 AD. Local animals provided motifs for Chimú pottery; these vessels were shaped in sections from molds, from which multiples could be made. Stirrup spouts were then attached to the body. To make the vessel water tight, the clay was allowed to partially air-dry then was burnished by rubbing a smooth rock over the surface before firing. 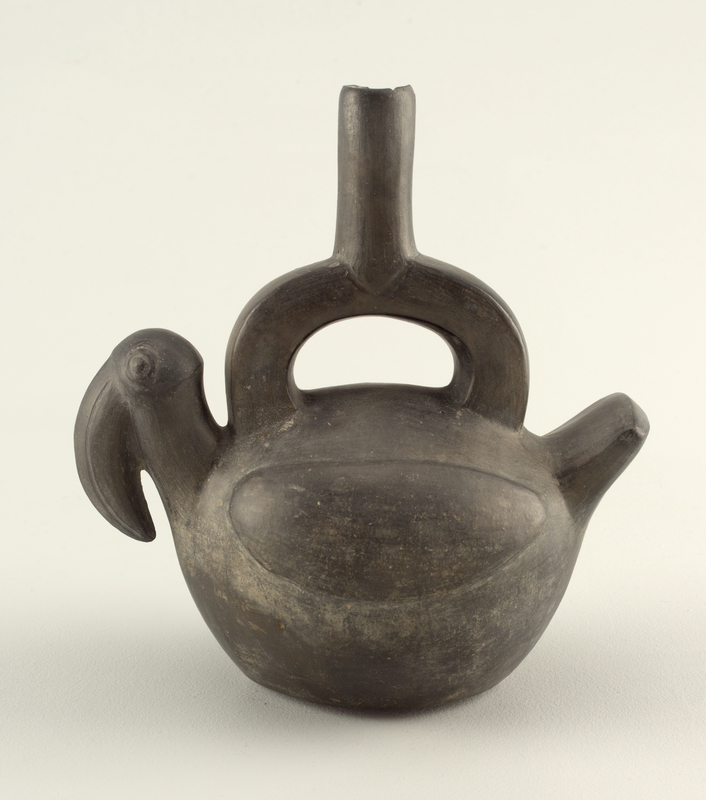 The Chimú vessels were a revival of those made during the earlier Peruvian Moche culture (see 1962-202-1). 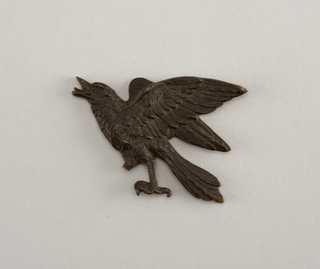 This object was catalogued by Rebekah Pollock. 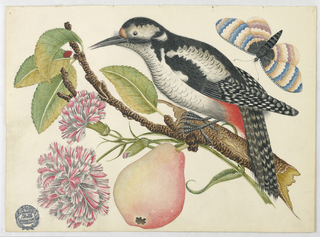 It is credited Museum purchase through gift of Charles W. Gould. brush and black ink, watercolor, graphite traces on coated wove paper.